Quality packing supplies for moving and storage. The art of packing your personal belongings can literally make or break your move. 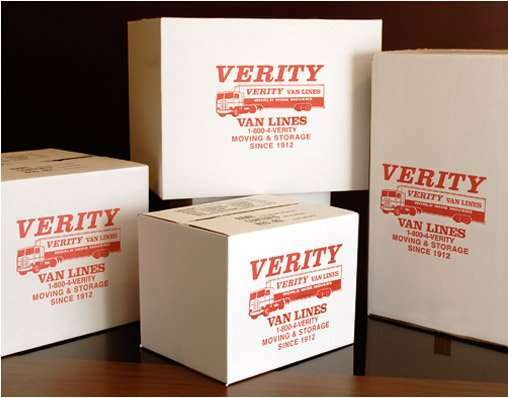 If you choose to pack some or all of your items, start with quality packing supplies for moving from Verity Van Lines. Our inventory of boxes, bubble wrap, packing tape and book cartons have been tested over time to withstand the trials and tribulations of the toughest moves. We offer next day delivery on packing supplies, Monday through Friday and FREE Delivery on all orders over $75 in Nassau County and western Suffolk County. Order by calling 516-785-7620 7:30 am to 5 pm Monday through Friday. Use similar sizes and weights. Avoid mixing items from different rooms of your home. Pour a layer of packing peanuts into the bottom, wrap heaviest items first with bubble wrap and place them in the bottom of the box. Wrap lighter items and separate them from bottom items with soft foam. Always try to put heavier items on the bottom! Before sealing the box, protect the contents using packing peanuts placed into unfilled spaces to prevent shifting. Keep the maximum box weight to about 30 pounds. Seal box with sturdy packing tape.